Hey, Kids! 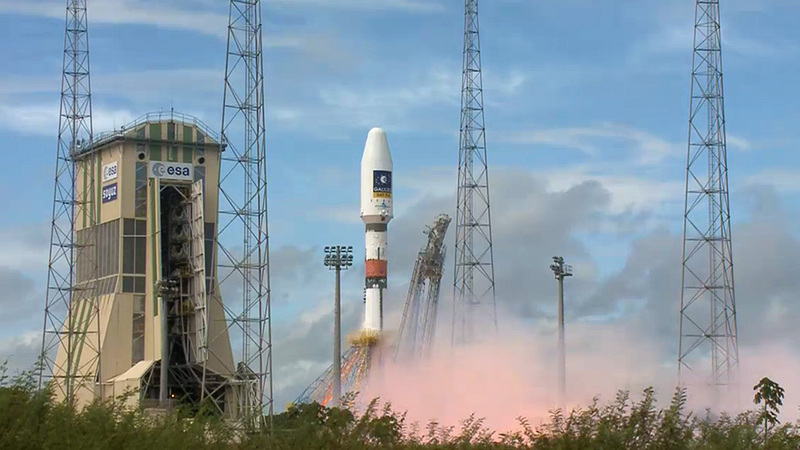 Get Your Names on Europe’s Galileo Satellites! If you are lucky enough to be nine to eleven years old and living in Belgium or Bulgaria, you could get your name on one of the first European navigation satellites. Two of them will launch from French Guiana in September 2011. Although Europe already has test satellites in the sky, these launches will mark the beginning of Galileo, a global navigation satellite system much like GPS. To enter the competition, draw an original picture of a satellite, spacecraft, or an image related to satellite navigation. Then, scan or take a digital photo of the drawing and submit it online at the competition website: www.galileocontest.eu. The contest opens April 10 2011 and closes May 31. From September 1 to November 15, the competition will open again to children born in 2000, 2001 and 2002 who live in the rest of the European Union. A national jury will select the winning drawing from each country.